Today, we’re starting a new series talking about the process we go through for selection Thunder Beach locations and building our complexes. That way, whether you’re interested in being a Thunder Beach location, someone who will one day play on our courts, or just a curious soul, you know firsthand what goes into building these places that are as majestic as the Taj Mahal or The Pyramids (Okay, they might no be that grand, but they’re still pretty nice). Can your complex handle the market in your area? You don’t want to have too many empty courts and make business seem slow. You also don’t want to have too few courts and miss out on potential revenue. Where will your courts be in relation to your business? Will your courts be behind your business and out of sight? They may go unnoticed by the public, which means marketing efforts will be doubly important to expose them to the public. Where are your property lines? Many people are unsure or uncertain of where there property lines and another begins. Know exactly where you can build your courts to. Trust us, property line issues are a headache you don’t deserve. Once you’ve tackled these questions and more, you may now have an idea for whether sand volleyball is a good fit for a location. Now we suggest walking off the property to get an estimate of size, followed by brainstorming a few different layouts that could possibly fit there. Don’t forget your parking lot! 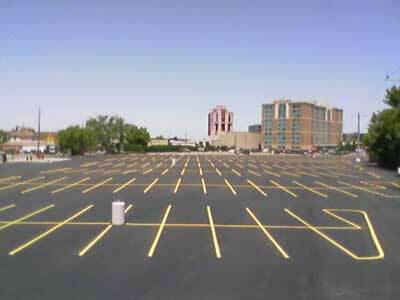 If you don’t use some of that parking space during peak volleyball seasons, we can easily build there! Alright, these are just small, basic steps to get us started. This is the easy stuff! Stay tuned for more updates. Or, if you like to get your information a little quicker, get in contact us. We’d love to discuss what we do with you! And for those of you thinking, “I can’t believe they’re going to tell us how they select locations and build complexes. They’re giving away company secrets.” Fear not, friends! The secret is not in how we build our courts. Anyone could build an amazing complex if they wanted to. The real magic happens after they’re built. It’s been rad! Peace out!